NOTE FOR INCOMING FRESHMAN / NEW BAND STUDENT PARENTS from Uniform Chair Scott Easton. Summer uniform fitting dates – July 23-26, 4-7:30pm, Seniors the first night, then Juniors, then Sophomores, then Freshmen. Watch for information on signups for a specific time. The Golden Bear Marching Band’s current full uniform was first used in 2001, and is a compilation of the band’s previous uniforms and represents the band’s military style of marching. Based on the uniforms of West Point, Notre Dame, and Ohio State, the 100% wool uniforms are dyed true black with accents of metallic gold that glitter brilliantly under the lights. The plume which adorns the hat consists of the feathers of South African male turkeys. The seven gold buttons placed in the center of the waist coat are emblazoned with two golden bears supporting a crest with the words, “Salus populi suprema lex esto” which means “Let the welfare of the people be the supreme law.” The motto is borrowed from the state seal of Missouri. 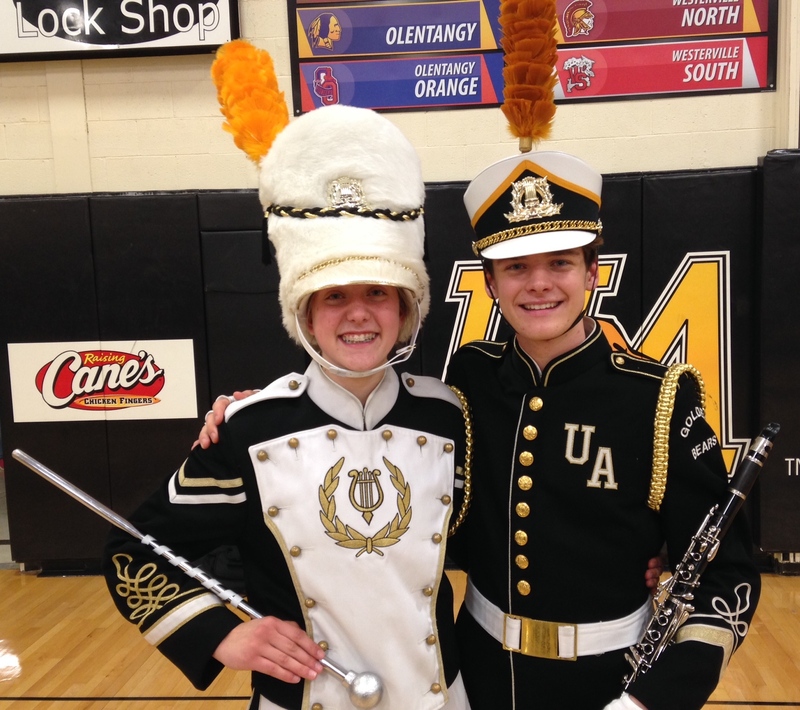 The Upper Arlington marching band uniform is a time tested classy look based on our marching history. A black tailored hip length coat with a white decorative belt and a left chest logo clearly shows our audience “elegance in simplicity”. A snappy scoop top shako hat completes our uniform. Drum major uniforms differ from the rest of the band. The drum majors wear white pants with a short waist black coat. 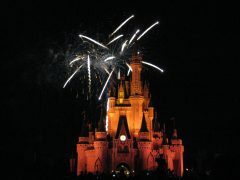 Their hat, known as a Busby, is flocked white and is 14 inches tall. They wear spats designed to look like high black boots. 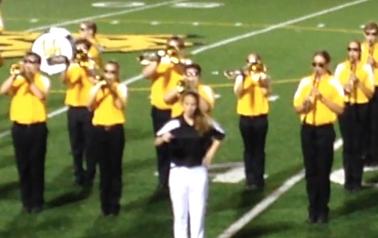 Summer uniforms, worn for the 4th of July parade and for designated football games early in the season, are comprised of black shoes, black casual slacks, black belt and a yellow Upper Arlington Marching Band polo shirt. 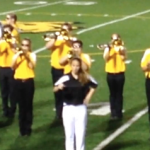 Drum major wear white shoes, white slacks, black belt and a black Upper Arlington polo shirt. Black shoes (must be completely black – click here to see examples, though any similar shoe will suffice). 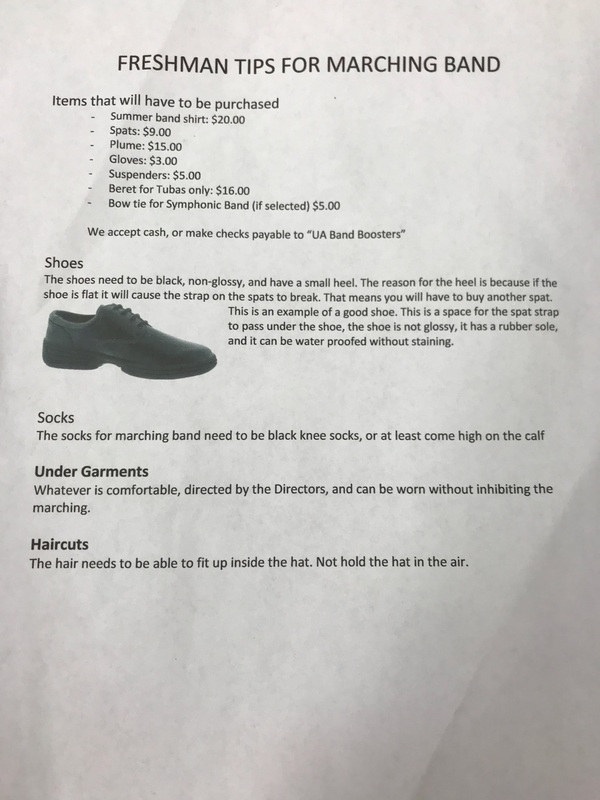 Each summer, prior to the start of the marching season, returning and incoming members must attend a uniform fitting appointment, typically held over a 2-3 day period. During the fitting, the student will be assigned the dress uniform and hat box to be used throughout the marching season. The uniform will be tailored (by band volunteers) to fit. A uniform fee is included in the band registration fee that helps cover the cost of dry cleaning and repairs. Each member must purchase the accessories (plume, gloves, spats, suspenders), as needed. Summer band shirts must also be purchased for all new members and as needed by returning members. Summer band shirts are typically sold during the Family picnic at the end of June, as they are worn during the Fourth of July parade. The uniform, whether summer or winter, makes an important statement about the band. Prior to all performances, the band directors conduct a uniform inspection. The students are responsible for knowing the components of each uniform, their instrument needs, and must have all the necessary items to pass inspection. While the uniforms are professionally dry cleaned as needed (paid from the uniform fee included with registration), each band member is responsible for keeping the dress uniform as clean as possible and rehanging it neatly after each performance. The dress uniform remains at school. Each band member is responsible for bringing their hat box, which stores the hat and accessories, to each performance. Accessories must be kept clean. Specific instructions on uniform accessory care can be found here. Symphonic Band will wear this attire to all Symphonic Band performances. Members must independently purchase their performance attire. Gentlemen: White button-down dress shirt, black dress pants, black dress jacket, black dress shoes (NO athletic shoes), black socks, black bow tie (may be purchased from the band for a nominal fee). Ladies: Black dress blouse, long (floor length) dark skirt or dress slacks (black – NO jeans), black dress shoes (no athletic shoes). This attire is commonly referred to as “dress black” and is standard in performing groups. 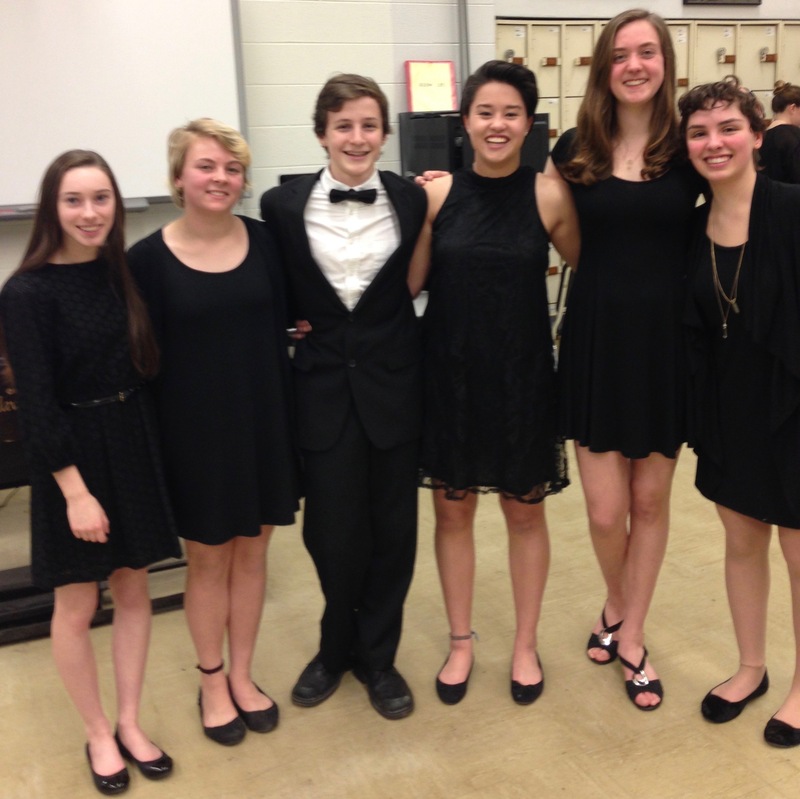 Concert Band will wear this attire to all Concert Band performances. Gentlemen: White, long-sleeved dress shirt, black dress pants, black shoes (no athletic shoes), and black socks. Ladies: White, long-sleeved shirt and black dress pants or skirt.